Designer Landscape offers a wide variety of retaining wall systems that will solve problems, add beauty and add value to your property. 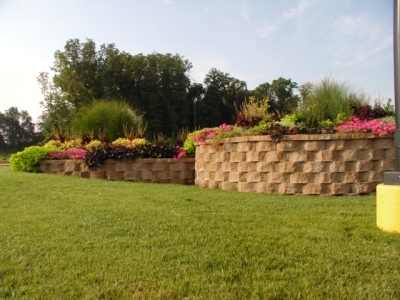 There are several reasons retaining walls can be beneficial to the landscape. They can turn a sloped exterior space into an eye catching landscape design that is as functional as it is beautiful. 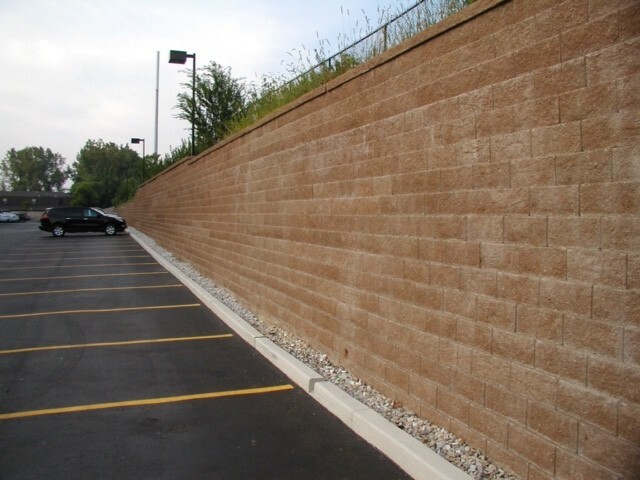 Retaining walls stop erosion and eliminate unsightly grade changes, reduce maintenance, and prevent damage to surrounding property or structures. When Designer Landscape started 30+ years ago, the most popular retaining wall was built from used railroad ties. 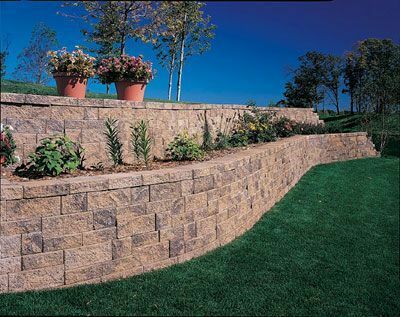 The retaining wall industry has developed many new products that have attractive facing options, are durable, structurally sound and cost effective. Architectural block retaining walls are made from high-strength concrete and are installed by dry-stacking; thereby, eliminating the use of mortar. With an architectural block wall, there is no need for a concrete footing. A footing of compacted granular fill for the leveling pad supports the wall. The structural integrity of a wall can be improved by using a geo-grid component to maintain stability. This allows walls to be built much taller without the concern of wall failure. Designer Landscape also installs natural rock retaining walls that can be dry laid or mortared on a footing. These beautiful rustic rock walls enhance your outdoor living space and provide functionality. The stone to construct walls can be natural or dimensionally cut for a more formal appearance. Rock retaining walls are a beautiful addition to any landscape or garden setting and should be considered when planning to enhance your outdoor space. 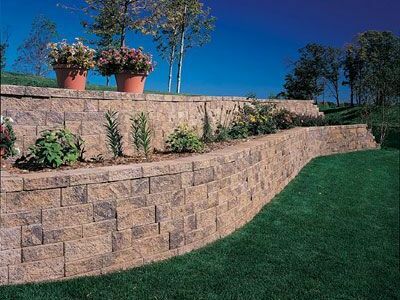 Contact Designer Landscape to help with any of your Retaining Wall needs.